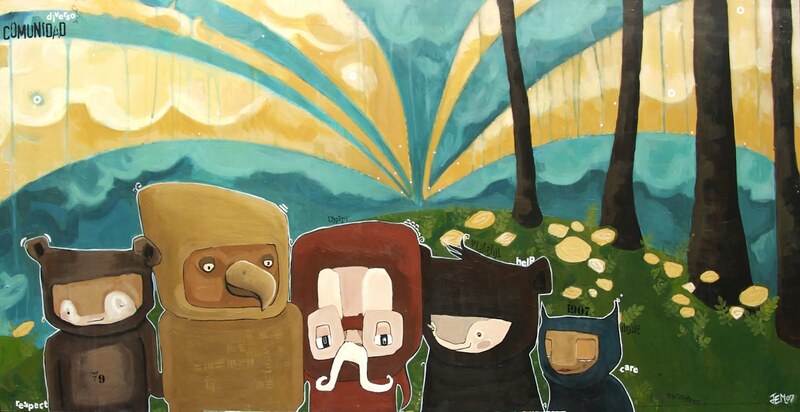 Ethier-Mullen is an artist, illustrator,and painter of jovial characters in whimsical lands. The primary land is known as Sickfeet, and it is the contextual world in which her characters adventure and interact with one another. It is a world of joyful tones, organic emotions, reminiscent textures, and inspiring tales. There is something strangely familiar in her work which reminds the observer of something in the past, while filling it with a fresh and hopeful commentary.